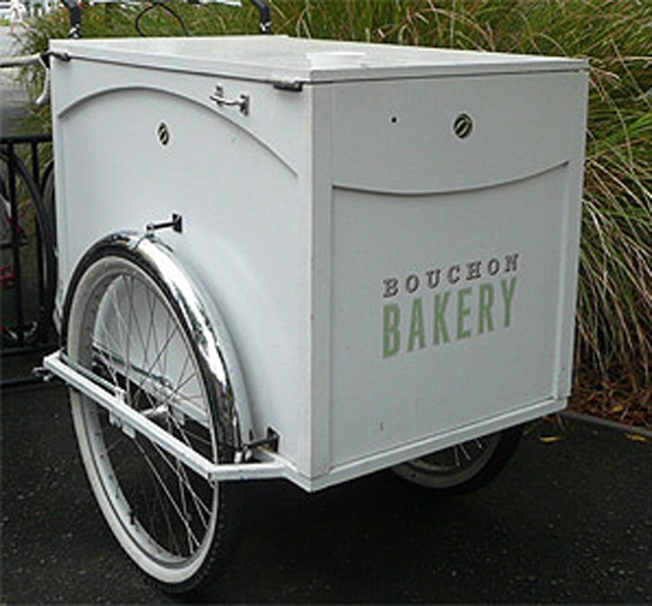 Bouchon Bakery is delivering bread in this handy looking bicycle. Kellerville: It's recently come to our attention that for the last few weeks, Bouchon has been making its daily Yountville bread deliveries with the above custom-made bike, which shall henceforth be known as The KellerCycle (or maybe the BouchonTrike?). Seems like the mobile food frenzy has spread all the way up north too, though it should be noted that there's a practical purpose here. In any event, $20 to anyone who sends in a photo of Lord Thomas Keller himself riding this little ride around the streets of Yountville. For serious.